With many miles of mapped trails and marked Bear Management Zones the Tower, Canyon map can guide you off the beaten path and back again. The clearly marked trails include mileages between intersections. The map base includes contour lines and elevations for summits, passes and many lakes. Some of the many recreation features include: visitor centers, campgrounds, trailheads, and interpretive trails. 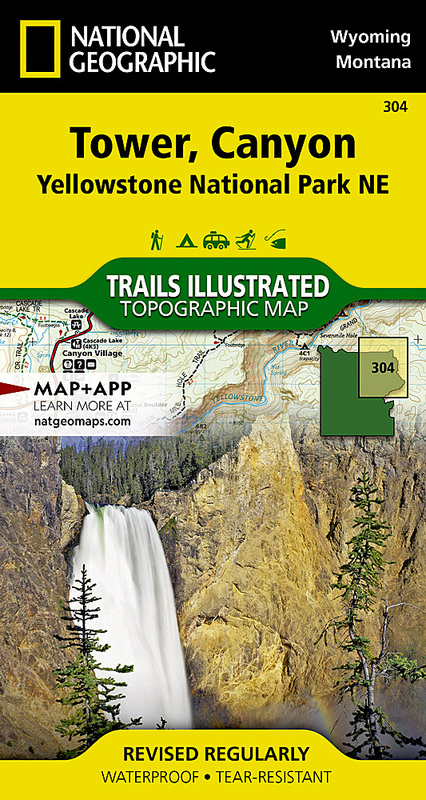 Other features found on this map include: Absaroka-Beartooth Wilderness, Beartooth Mountains, Buffalo Plateau, Custer National Forest, Gallatin National Forest, Granite Peak, Hurricane Mesa, Lamar River, Lower Falls of the Yellowstone River, Mount Washburn, North Absaroka Wilderness, Pilot Peak, Saddle Mountain, Shoshone National Forest, Yellowstone National Park.